Professional Cakes: The Most Adorable Dr. Who Cake EVER! 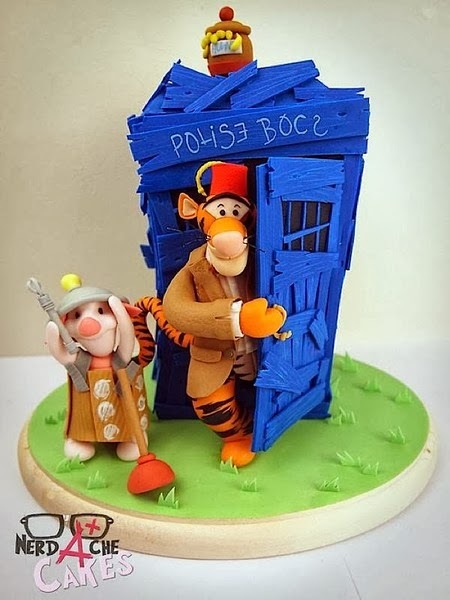 Tigger as Dr. Who, and Piglet wearing a homemade Dalek costume? Sign me up! Next Post Recipe and Tutorial: Banana Pumpkin Bread of AWESOMESAUCE!